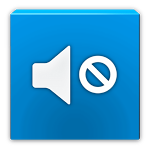 Handy volume control app Silence got a nice update today to version 2.0. The update, besides introducing a new (holo) interface, adds a ton of new functionality. So much, in fact, that the app's functionality now overshadows its simple name. For starters, the update adds Google Calendar integration (for Android 4.0+), and support for recurring events, each with their own volume profile. Users can configure the events to repeat until a given date, and the app can control notification, media, and alarm volumes with individual levels for each.